Plant Cold Hardiness and Freezing Stress: Mechanisms and Crop Implications contains the proceedings of an International Plant Cold Hardiness Seminar, held in St. Paul, Minnesota on November 2-4, 1977. Organized into seven parts, this book contains a collection of valuable articles on the advances in plant cold hardiness research. 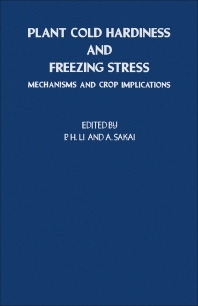 This text first addresses the freezing stress in plants in nature, in the field, or as a result of laboratory experiments intended to explain the process. Some chapters follow that discuss the effect of cold acclimation and freezing on plant's cell membrane, the mechanism of cold acclimation in plants, and the super cooling stress in plants. The survival, breeding, cryopreservation, and cryoprotection of plants are also explained.